Maurizio Sarri admitted having concerns about Gonzalo Higuain after Chelsea’s 2-0 defeat at Everton. Under-pressure head coach Sarri pushed hard for the club to bring in the striker, who previously played under him at Napoli. But Higuain, 31, has scored just three goals since arriving on loan from Juventus in January and struggled again at Goodison Park, where he was substituted in the second half. The Argentine was restored to the side after being left out of the squad for Thursday’s Europa League win against Dynamo Kiev because of illness. Asked if he is concerned about Higuain, Sarri said: “At this moment, yes of course. I think today he had an opportunity, but too few (chances came his way) for him I think. “He can do more. He is improving, then this week he had a problem in the beginning of the week with a fever. “So today it was normal that he was only able to play for 60-65 minutes. Higuain went close to scoring and Eden Hazard hit the post during a first half Chelsea totally dominated. But they inexplicably switched off after the interval and went behind to a goal from Richarlison before Gylfi Sigurdsson doubled Everton’s lead. 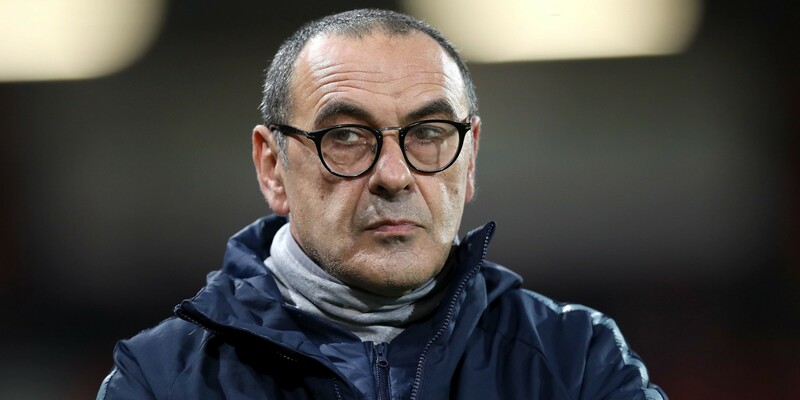 Sarri said: “The situation is clear; we played probably the best 45 minutes of the season and then suddenly at the beginning of the second half we stopped playing. I don’t know why. “It’s impossible that the problem is a physical problem, because if you have a physical problem you can go down gradually – not in one second. Suddenly we did very badly from the first minute of the second half. It seems that Chelsea is yet to learn from past mistakes. Bashuayi and Tammy Abraham shouldn’t have been loaned. It is ridiculous bringing in a 31 years old cargo whilst we have Tammy Abraham scoring goals for fun in the championship. We need a shakeup in Chelsea starting with Sarri. Luiz, Alonso, Pedro, willian, Jorginho, Drinkwater and Azpi should be released in the summer and let’s have a new beginning. I will be happy if the ban stays so that we can give our promising youngster a chance for once.